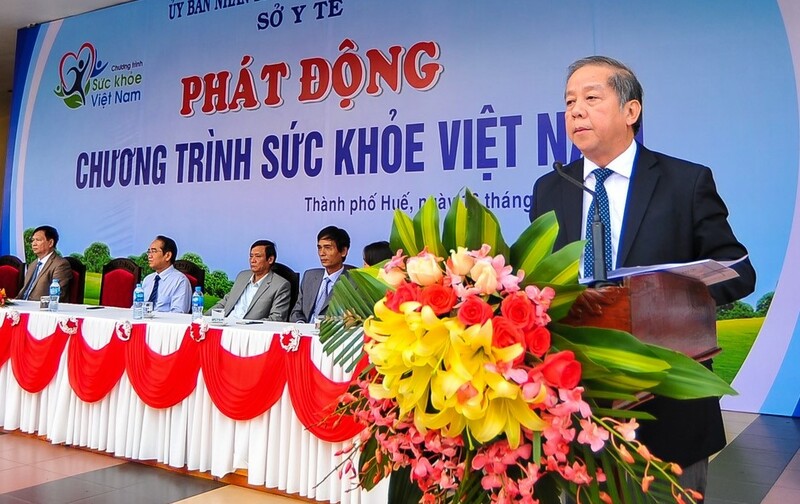 On the morning of March 16, the Department of Health held the launching ceremony of “Vietnam Health Festival” with the participation of over 1,000 people. 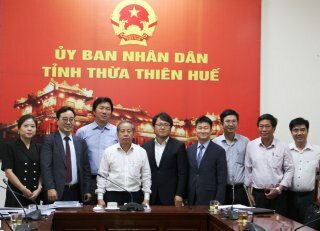 Attending the program were Mr. Bui Thanh Ha, Deputy Permanent Secretary of the Provincial Party Committee and Mr. Phan Ngoc Tho, Chairman of the Provincial People’s Committee. 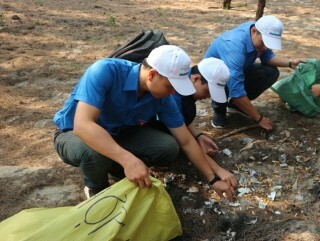 Speaking at the event, Chairman of the Provincial People’s Committee Phan Ngoc Tho appealed for each individual for immediately practicing and maintaining healthy activities and lifestyle in order to protect, care and improve the health of themselves, of their families and of the community. At the same time, he ordered related departments, within their power, to apply the solutions in synchronicity and various forms of publication to raise the people’s awareness and the responsibility of different state agencies for the work of health care. Furthermore, Mr. Tho also said that it is necessary to ensure a full provision of the essential health care services for people, especially at health care routes at grassroots level, while enhancing implementing, supplementing and completing policies and legal regulations to minimize the risk factors for health and creating a favorable environment to help improve people’s health. 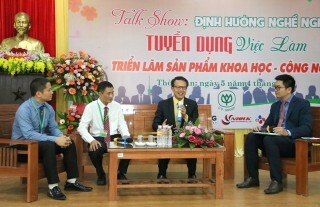 According to Mr. Nguyen Nam Hung, Director of the Department of Health, each resident has to be proactive in taking care of their health, such as ensuring appropriate nutrition, doing more physical exercise (walking 10.000 treads per day, doing exercise during breaks), saying ‘no’ to smoking and alcohol, having vaccination, as well as having regular medical check-ups for early detection and treatment, thereby improving living quality and minimizing sickness and death. After the launching ceremony was the parade to encourage all people to participate in the program and care more about their health to early detect sickness.